Styled with odila bodysuit . 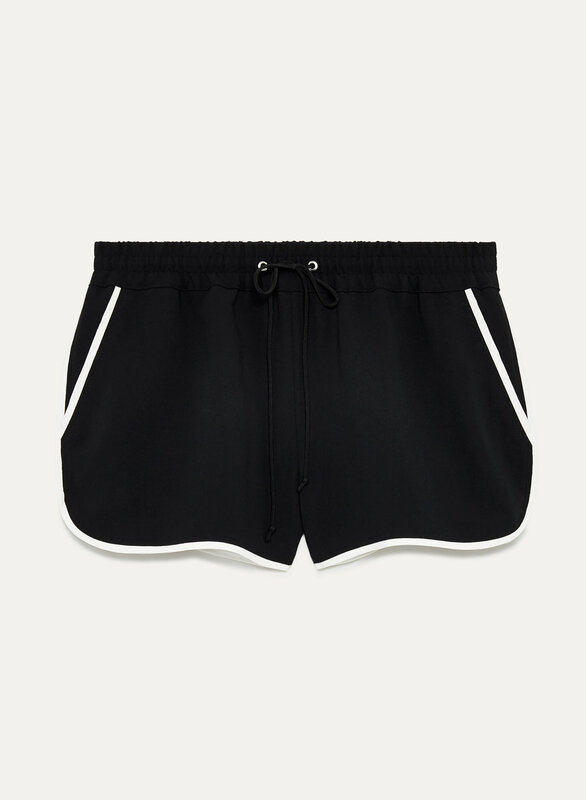 These shorts are made with a Japanese crepe fabric that drapes just so. The contrasting trim and curved hem add a casual feel to this design.